For some reason, Apple still believes we all want a fuzzy, foggy-looking dock background, so today I'm going to show you how to get rid of that translucency to expand the look of your iPhone's home screen. You will need to be jailbroken for this tweak, so if you're not already, definitely check out our jailbreak guide before moving any further. The process is dead-simple and takes only a few minutes using your Mac or Windows computer. 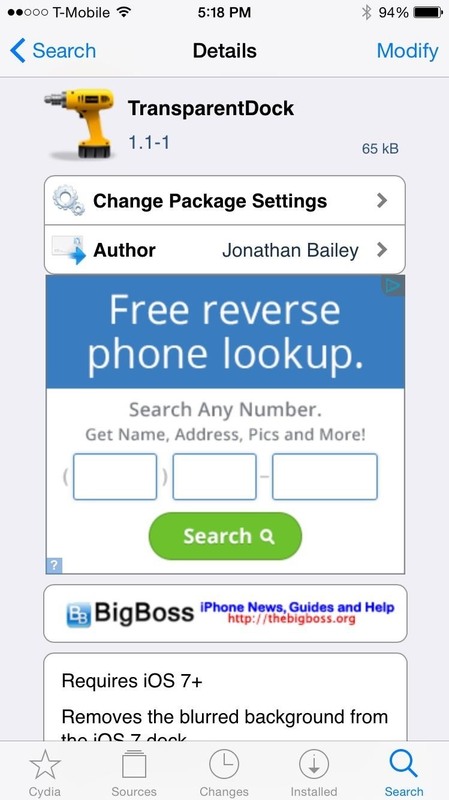 On your device, enter Cydia and search for TransparentDock from developer Jonathan Bailey, then select "Install." 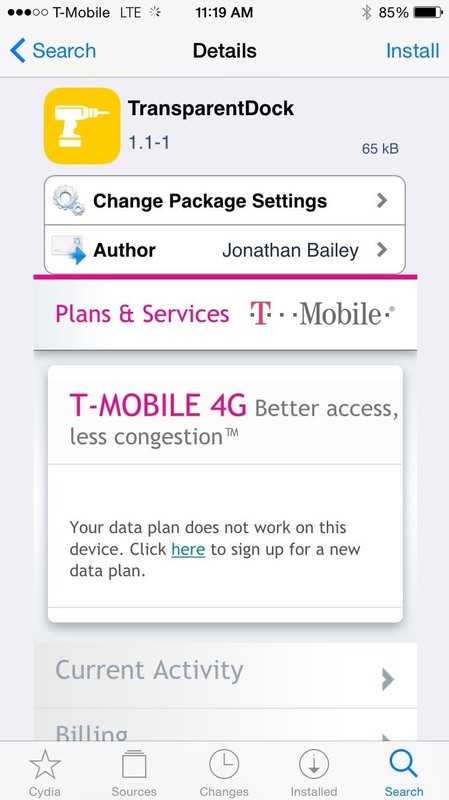 Once the installation finishes up, tap "Restart Springboard" and wait for your device to quickly reboot. The tweak has no settings, so once your device reboots, simply enjoy your clean-looking dock. You can now add a wallpaper and spare the bottom portion from being obstructed by the dock's background. 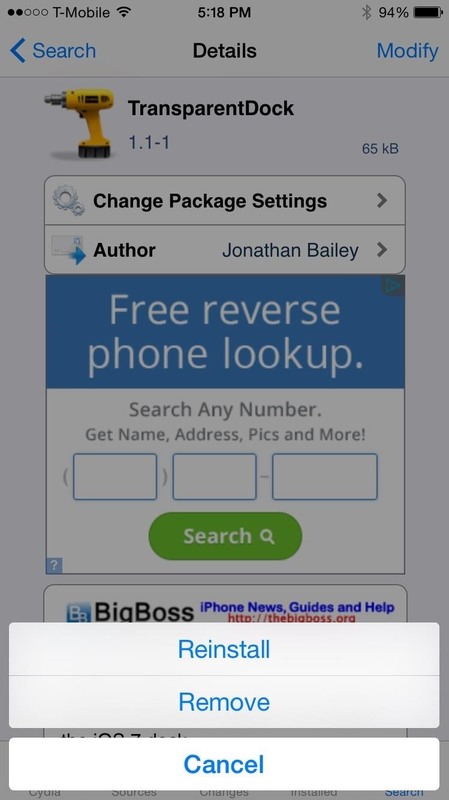 Because the tweak has no toggle option, you'll need to go back into Cydia, head to "Installed," locate TransparentDock, select "Modify," then select "Remove." 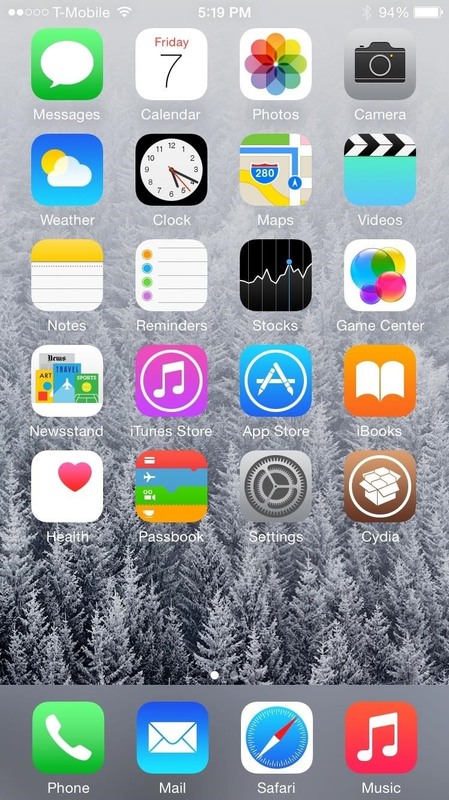 After restarting the Springboard once again, you'll have the standard dock back on your device. While this is certainly a simple tweak, having options regarding how we want our devices to look and operate are always welcome, and TransparentDock is a great option to have. Let us know what you think of the tweak in the comments below. Does not work on iOS 8-8.1.x. I am on 8.1 and nothing warned beforehand that the tweak was not yet compatible for iOS 8.x-8.x.x as other tweaks do that aren't yet compatible with the previous iOS version your iDvice is on. Others that this does not work on? I did find one that works. DockShift. The transparent dock works no problem on my iOS 8.1 iPad. It may only say for iOS 7.1 or lower in the description, but no warnings saying it wasn't compatible with my version yet, so I installed anyway. 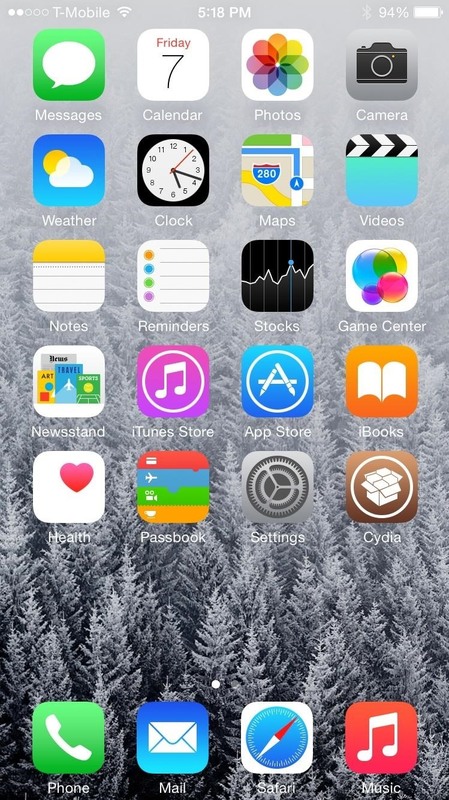 So for others that can't get TransparentDock to work, then install DockShift from BigBoss repo.